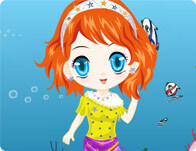 Style this undersea mer-maiden in fantasy, flowing gowns and top it all of with some seashell accessories and fishy friends! Dress up is in the mind! 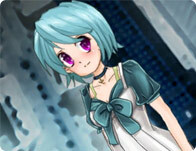 Take a stab at this dreamy anime themed Dress up based on the new hit movie 'Inception'. So fun, you'll think you're dreaming. 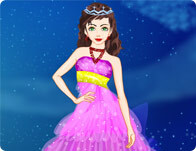 Style this pretty princess in fantasy gowns, crowns, hair and accessories for her magical night of fun and romance in the clouds. Get this fashionable park ranger dressed up for a dino-mite adventure for her first day on the job at Dino Park. Different people have different favorite dinosaurs, what's your favorite prehistoric monster? 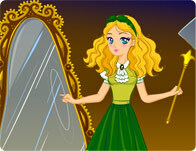 This cartoon fairy and her flying cat are always on the look out for fun, fashion, and friends. Style her hair, wings, shirt, skirt, and accessories for an exciting day of fun and adventure. Get glamorously ghoulish with this stylish vampire babe. Take a bite out of fashion with blood red blouse's, pearly white fangs, skull print leggings and devilishly creative accessories! 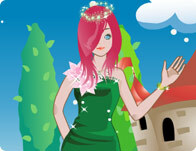 Style this pretty princess in an assortment of gowns and crowns and studded bejeweled accessories fit for royalty. Dress her up for the fantasy ball and send her off in style.